Extra large table bases suitable for tops up to a maximum size of 1000mm x 700mm rectangular. Available from stock for a 2-3 day lead time. Durable powder coated finish. 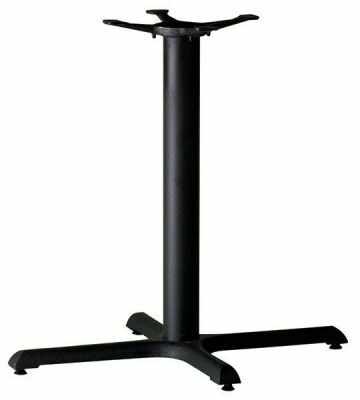 All over black finish value table base with a weighted common and four wide feet to allow a larger size cafe table top to be fitted. Please select table top from our extensive collection.